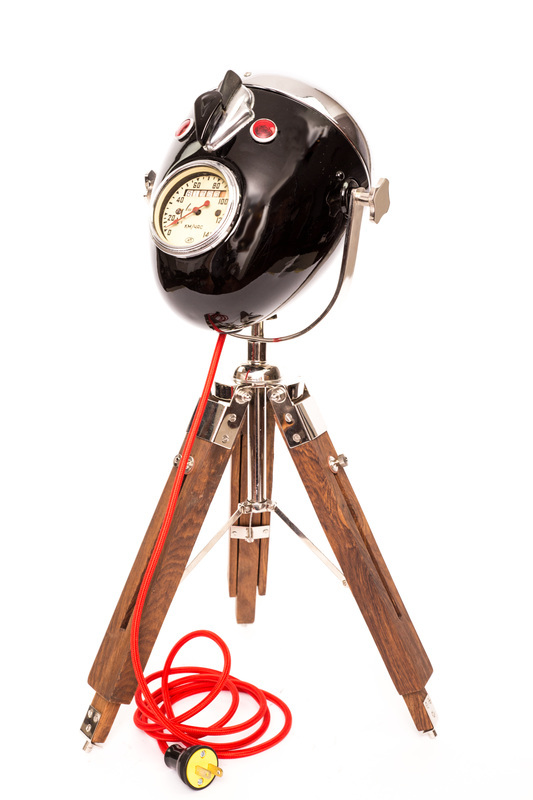 We build floor, table and desk lamps from vintage and rare motorcycle and scooter headlights. We meticulously restore these lights and update them tastefully with LED lights, cloth covered cords and vintage photography tripods. We have brought to you a series of historic pieces that will add a level of sophistication and cool to your home, office or retail space. We restore our lights by hand and only use original parts and the best parts. Time and money are not skimped on. You are getting a one of a kind antique that is a true work of art. 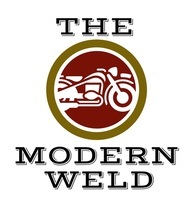 The Modern Weld Desk Lamps are one off customs that we make from vintage and very rare scooter and motorcycle headlights. These lamps are smaller and suited for your desk, end table or retail counter top. 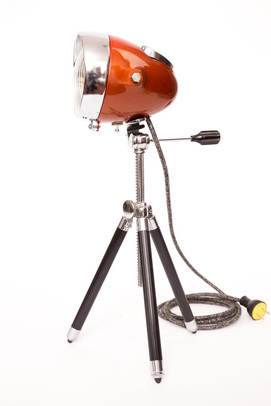 The Modern Weld Table Lamps are made from vintage Ural motorcycle headlights and vintage Japaneses motorcycle headlights. 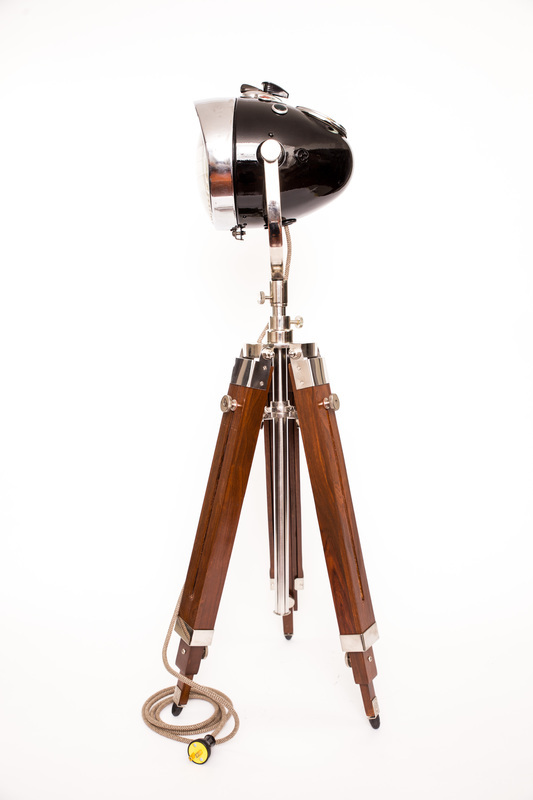 These are a larger lamp with wooden tripods suited for coffee tables or end tables.